A butcher unloads beef from a truck outside a butcher's shop in Sao Paulo, Brazil, July 27, 2017. 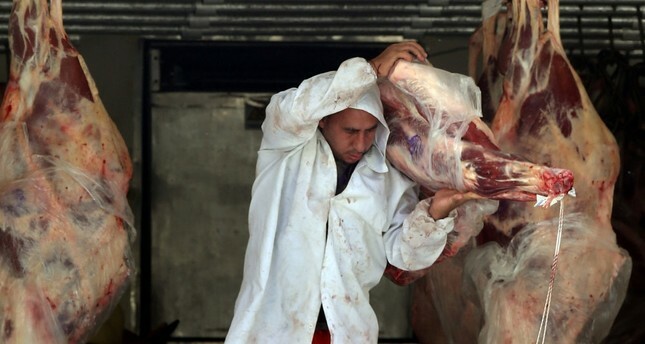 A proposal by Brazil's next president to relocate its embassy in Israel, following U.S. President Donald Trump's lead, may set off a diplomatic storm in the Muslim world, threatening a key market for the world's largest meat companies. the Middle East, and the United States had few allies follow suit. Guatemala did so in the days afterward while Paraguay has since reversed a similar decision. The Egyptian embassy blamed a scheduling conflict. That has sounded alarm bells in Brazil's meat industry. Representatives for JBS declined to comment on fallout from a potential embassy move. The Arab-Brazil Chamber of Commerce expects Brazil's total exports to a grouping of 22 Arab countries, which excludes non-Arab Muslim nations such as Iran, to swell to $20 billion by 2022, up from $13.5 billion in 2017. Rubens Hannun, the chamber's president, added that Brazil also stands to benefit from infrastructure investment from Arab sovereign funds. UAE's Mubadala Development Co, for example, poured some $2 billion into Brazilian commodities empire EBX earlier this decade.